Book One: Winner of Best Young Adult Novel at the 2011 Los Angeles Book Festival! Young Rupert, with an unquenchable thirst for knowledge and experience, has been raised in complete isolation from the world by his enigmatic grandparents. His life takes an extraordinary turn when a violent storm uncovers a long-concealed treasure. In the tempest’s aftermath, his grandparents vanish. Completely alone, the bewildered boy seizes the opportunity to leave his forest home at last. Out in the wider world, Rupert encounters new friends, and learns that the kingdom’s beloved royal family had been slain by brutal usurpers, who now ruled with cunning and cruelty. But astonishing revelations convince Rupert that he has a pivotal role to play in restoring justice to the land. As Rupert and his comrades face imprisonment, bloody skirmishes, desperate conditions, and alluring yet sinister encounters, their darkest moments may reveal thrilling wonders. Unfolding events take on a deeper meaning as Rupert’s mysterious gifts guide him towards the shattering truth about his identity and his destiny. The Prophetic Journey opens a new chapter in Rupert's epic quest to regain his kingdom's crown, wrested from his ancestors by vicious invaders. Though escaping into neighboring Zurland with his comrades, his journey has hardly begun. In the wake of a mystical vision, the ultimate destination of the Golden-Eyed Prince is now the fabled and vastly distant land of Raja-Sharan. Secure in the loyalty of his friends, their circle is disrupted by a nomadic stranger, carrying with him a perfidious secret. Yet that is only one danger confronting them. Hazards abound on this incredible odyssey, where the young sovereign is challenged by the overwhelming forces of nature as well as the darkest side of humanity. Yet adversity proves the catalyst for Rupert's mystifying, even miraculous abilities. And for the first time, his deeds will be carried to the wider world -- fame bringing with it an abundance of promise and peril. Guided by mysterious visions, young Rupert at last arrives in the fabled realm of Raja-Sharan. Extraordinary events await him, including a stunning reunion with his cryptic grandparents. Shunning dire warnings, the Golden-Eyed Prince vows to deliver his royal cousins from overthrow by a menacing visitor, Prince Jezra. With his comrades imprisoned, Rupert faces looming calamity alone. To thwart the would-be usurper, he devises a daring scheme that, instead, causes him to be ensnared by his foe. At Jezra's mercy, Rupert endures shattering allegations against his revered heritage, shaking the boy to his core. Yet summoning a valiant resolve, Rupert engages in a deadly duel to determine the fate of the kingdom. The Fate of Raja-Sharan weaves a web of revelation and intrigue around Rupert's captivating saga, bringing challenges as never before. The charismatic youth confronts treachery, transgressions, and the spellbinding temptations of power -- while an unrelenting destiny delivers life-altering tidings that may overthrow his world forever. Departing Raja-Sharan with his comrades, a forever changed Rupert begins his odyssey towards his distant home. In exotic Agadeshloo, the Golden-Eyed Prince encounters Komo, a formidable warrior masking a horrific history. When he refuses to join them, they set sail for remote Narkesha. Though surviving shipboard peril, Rupert is confronted with a confounding state of affairs: a queen demanding that children be sacrificed to quell looming volcanoes. While repelled by such ruthlessness, the boy resolves to remain aloof from foreign entanglements. Yet, an irresistible fascination with baffling ancient monuments soon has Rupert enthralled...unwittingly unleashing a catastrophic chain of events that will eternally alter the country, its inhabitants, and the comrades' path. And the prince previously hailed as a hero, becomes reviled as a bringer of darkness. 'The Prophet of Doom' reveals a maturing Rupert, struggling to harness his dazzling mystical gifts. The ensuing conflict between passion and power delivers not only jeopardy, but the beguiling promise of unimagined enlightenment. 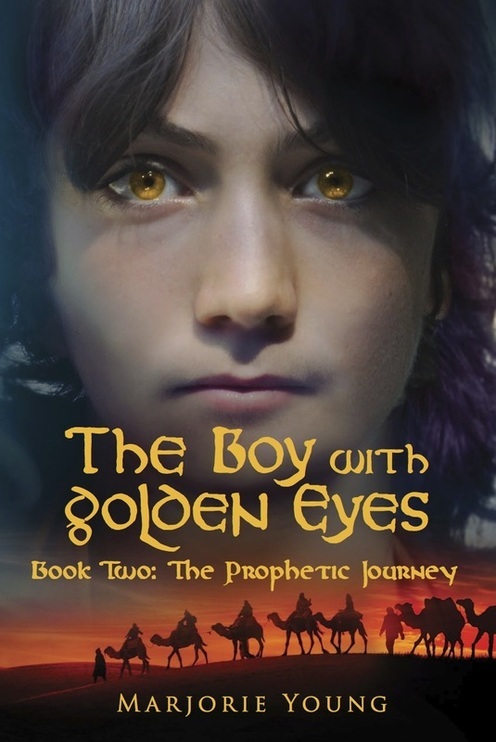 Surviving a volcanic eruption and its aftermath, the Golden-Eyed Prince encounters fresh adversity. With assassins hot on their trail, the comrades set off towards the Tarama Sea. Crossing it will bring them one step closer to their ultimate goal: the liberation of their homeland from a despotic regime. But first, Rupert must contend with revelations concerning Drego, his provoking, magnetic follower who unknowingly harbors a secret jeopardizing Rupert’s greatest ambitions. Before that puzzle is resolved, the youth must summon new-found abilities to confront a dark nemesis from his past…only to find his supreme test awaiting – the lure of rarefied enlightenment, requiring Rupert abandon all he holds dear to receive it. 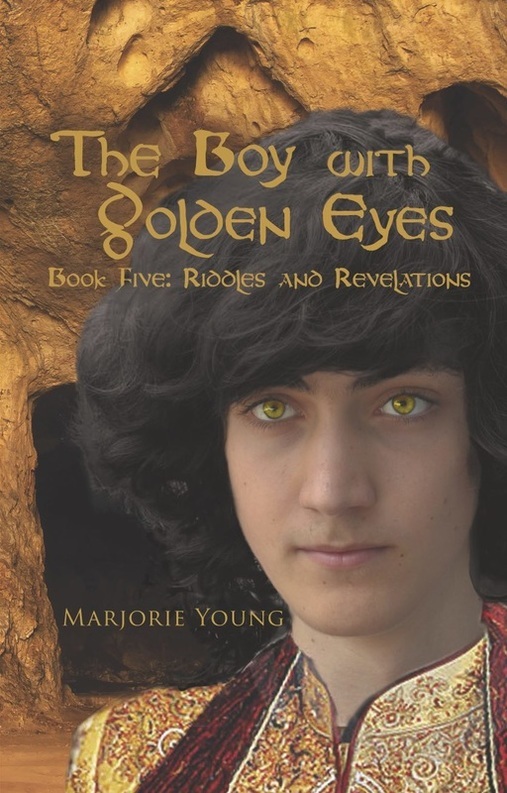 Riddles and Revelations follows the young hero on his quest to comprehend the true nature of reality, responsibility, and the world he inhabits. His realizations transform not only his own fate, but that of myriad kingdoms as well, while his burgeoning exalted status delivers surprising consequences of its own. Marjorie Young is a mystically-inclined traveler, spiritual counselor, and lover of the world’s myths and cultures. 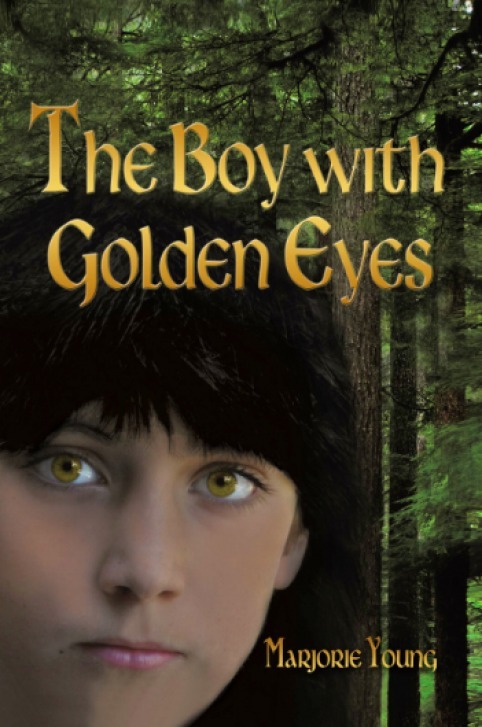 Her fantasy/adventure series, The Boy with Golden Eyes, has won prizes in Paris, New York, London, and Los Angeles. 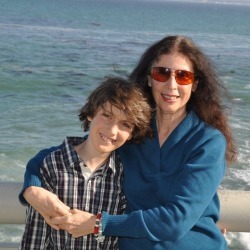 She currently resides in Seattle, Washington and is a columnist for the Ballard News Tribune.